‘The Friends’ was formed in 1984 – the theatre’s Centenary year – to help and encourage support for The Devonshire Park Theatre and for theatre-going in general. 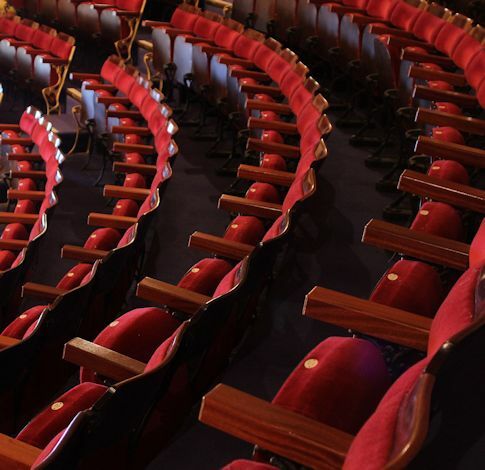 Working alongside the theatre staff by becoming volunteer stewards and assisting with other duties – including providing an audio-description service for blind and partially-sighted patrons or being part of the DIY team tackling decorating projects. Now more than thirty years on, and with around 1300 members, the Friends continues to be a strong organisation working for the benefit of this lovely Victorian theatre gem in the heart of Eastbourne. Over the years, the Friends have raised valuable funds which have been used to support the Devonshire Park Theatre in all aspects of its work. 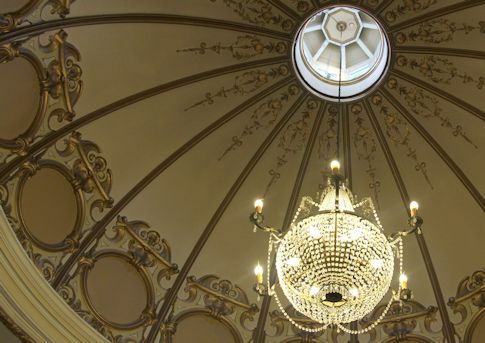 For instance, the stalls, dress circle and upper circles were all renovated with financial assistance from The Friends, as was the refurbishment of the bar, the gentlemen’s loos, the foyer chandelier and, just recently, the redecoration of the foyer. The Friends provided funds for work to be carried out on improving facilities for the actors behind the scenes and for painting the famous and unique safety curtain. The list is long! Please do join us as we continue to support the Devonshire Park Theatre in all that it does. You can become as involved as little or as much as you like – but the main thing is to enjoy your membership! Why not find out more about the Devonshire Park Theatre and the support that we, as Friends, can provide. Visit the Membership page for more details.